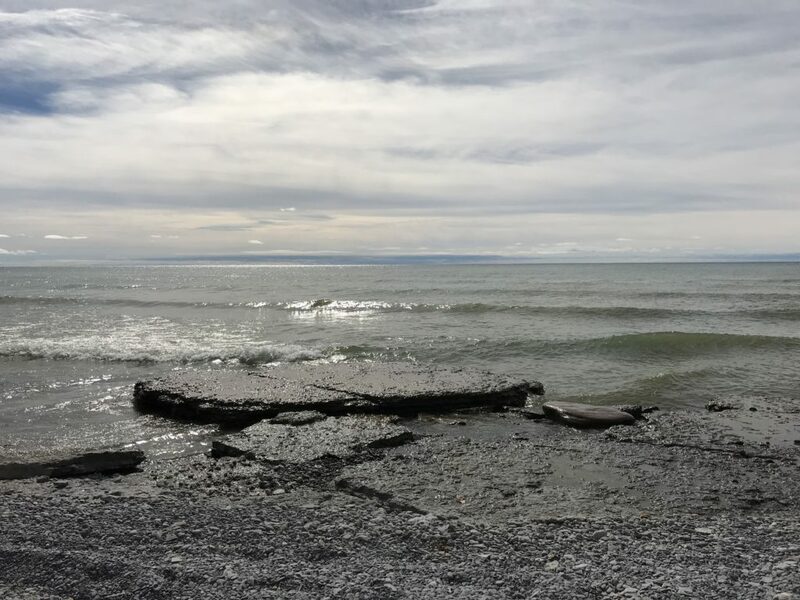 This past weekend we spent a beautiful afternoon on the shore of Lake Ontario. 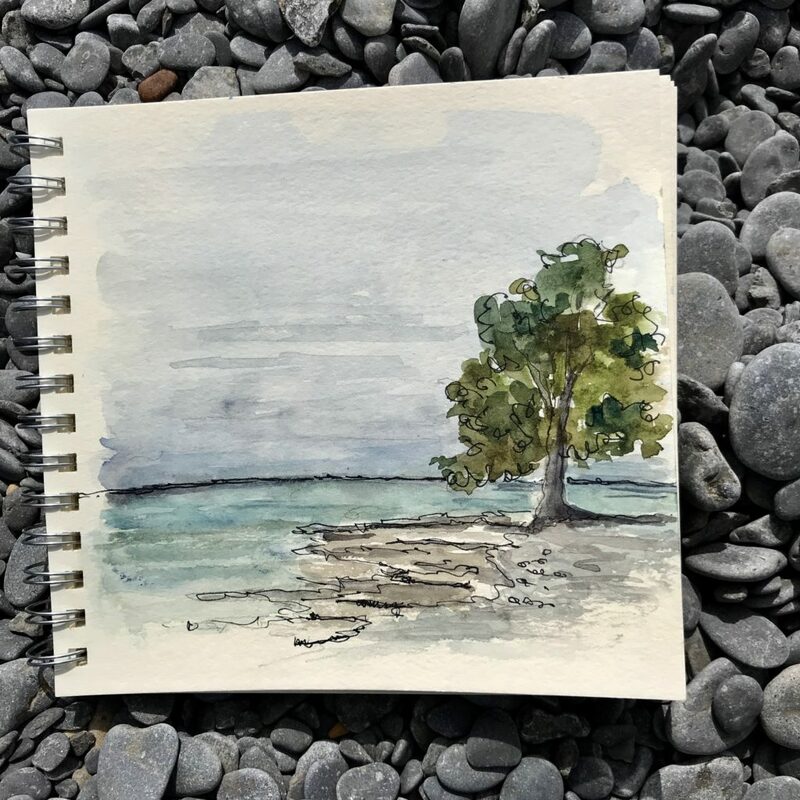 We ate our lunch on the beach and I had time for a quick sketch of another tenacious tree. 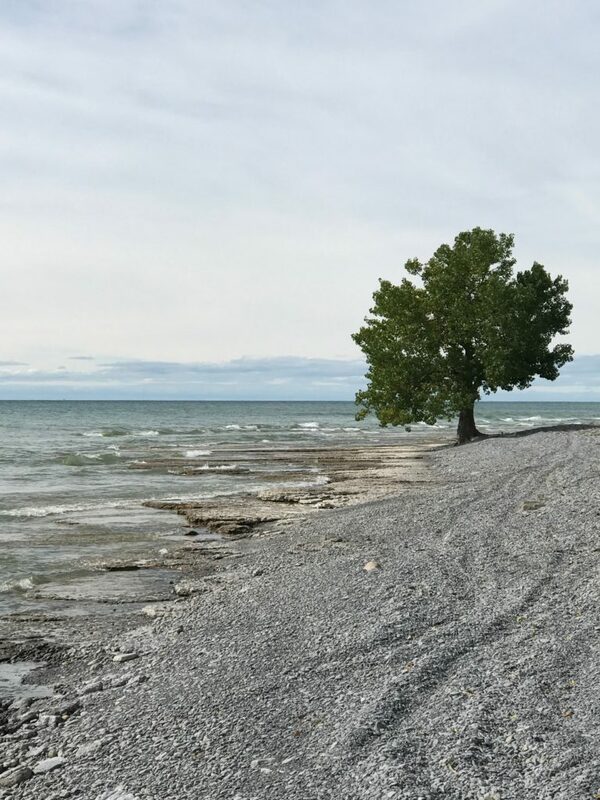 It’s been a while since we have been out to that gorgeous isolated expanse and the colours and textures of the day have remained with me. I had taken an extended, unplanned break from the studio, leaving all leather and sewing firmly under wraps and was actually looking for a way back in. I have a list of projects but nothing inspired me to actually thread the machines and start. The colours of the day on the lake held the key. 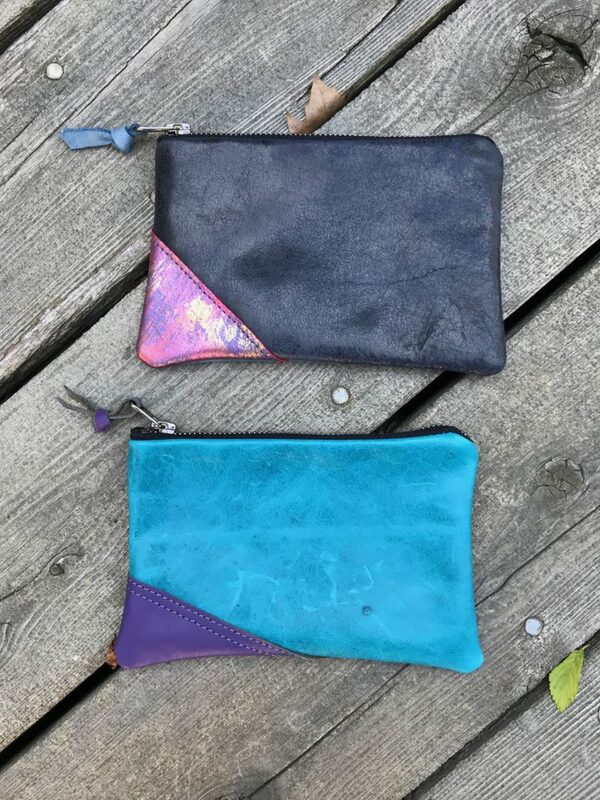 When we got home, I pulled out my box of remnant leather pieces and began building some pouches in the colours of the day–shoreline and sky. 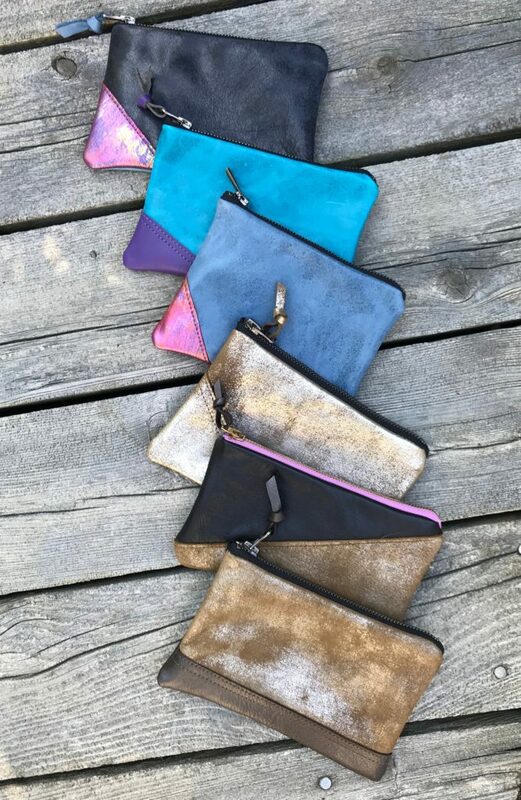 The small Strand collection of pouches is made of leather remnants with salvaged cotton linings–mostly from the Textile Museum sale. It feels good to make useful things of beauty from left overs. I find this size of pouch, approximately 7″ x 4.5″, very useful for travelling. My passport fits in comfortably and I like to keep different currencies separate and also to save receipts, tickets etc. I often take two or three along in my backpack. 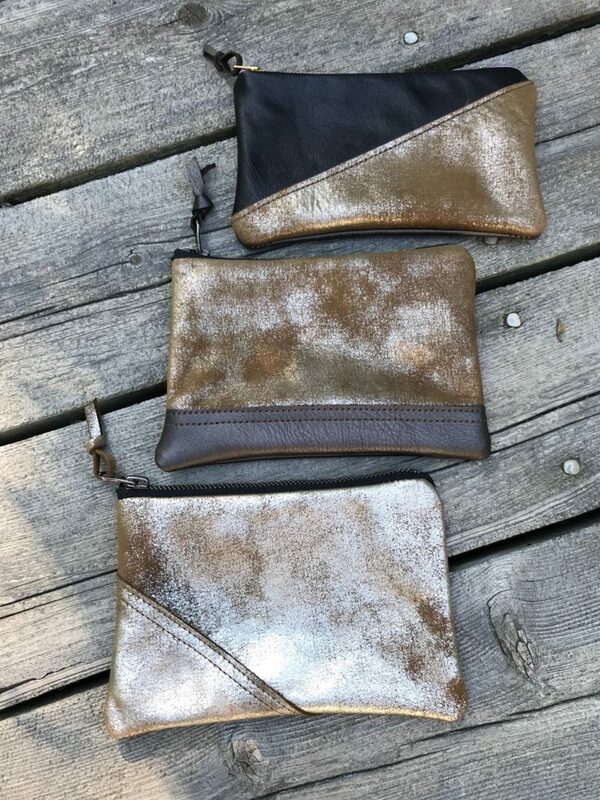 These pouches will be in the online store soon. Send me a note if you are interested.